Given MASTODON were in the UK just over a year ago, this gig was very much about the appearance of Neurosis frontman and one-song-per-album contributor Scott Kelly – although the setlist had been shaken up considerably, offering fans plenty of reasons to part with their cash. Mastodon and Kelly had been waiting until the number of collaborations had reached a figure where it became viable for them to tour together. With the release of their latest album, Emperor Of Sand, this reached half an hour’s worth of material, and both parties’ dreams of hitting the road together at last came true. This was the eighth time I’ve seen Scott Kelly – three performing as a solo artist, four with Neurosis and this time round with Mastodon. Scott’s intensity as a live performer is something to behold. The main difference I noted at this gig was how he behaved with the absence of a guitar and being a bystander for a lot of the songs – it was quite a sight to see him, clutching the mic stand and swinging back and forth, possessed and pained, to then launch into his vocal part when the time came with all the venom and force in his sinews. Whether it was just the one section of Crystal Skull or the bulk of the vocals in Diamond In The Witch House, the emotion he poured into his performance was characteristically amazing. Catharsis, soul music, call it what you will, there’s nobody quite like Scott Kelly. The highlight of this closing half an hour of the set was the crescendo and building intensity of Diamond In The Witch House, almost unbearable at times, and the iconic title track off 2009’s Crack The Skye – in my opinion Mastodon’s finest hour. But forgive me for banging on about Scott Kelly – he is my favourite musician of all time, after all. Had he not been present this still would’ve gone down as one of the best gigs this year – and we’re only three weeks in. The set spanned the Atlanta metal behemoth’s entire discography, with 2011’s The Hunter conspicuous by its absence barring the Kelly song. As much as I’m not of a fan of recent Mastodon compared to their 2004-2009 era material, the so-called more radio friendly songs, with their soaring choruses and wonderful vocal harmonies, offer a lovely contrast with their more brutal and punishing early days material. The chops of the four musicians can’t be overstated, whether it’s the glorious psychedelic miasma conjured in Sleeping Giant, the vocal trade-offs in Ancient Kingdom or the frankly insane guitar work in Capillarian Crest. I could listen to Brent Hinds soloing all day long, and I can’t think of a cooler more gifted guitarist in modern metal. Fellow axeman Bill Kelliher performed bewilderingly dexterous guitar work with equal consummate expertise, while Troy Sanders roared and prowled the stage with his bass, with sticksman Brann Dailor holding it all together at the back. 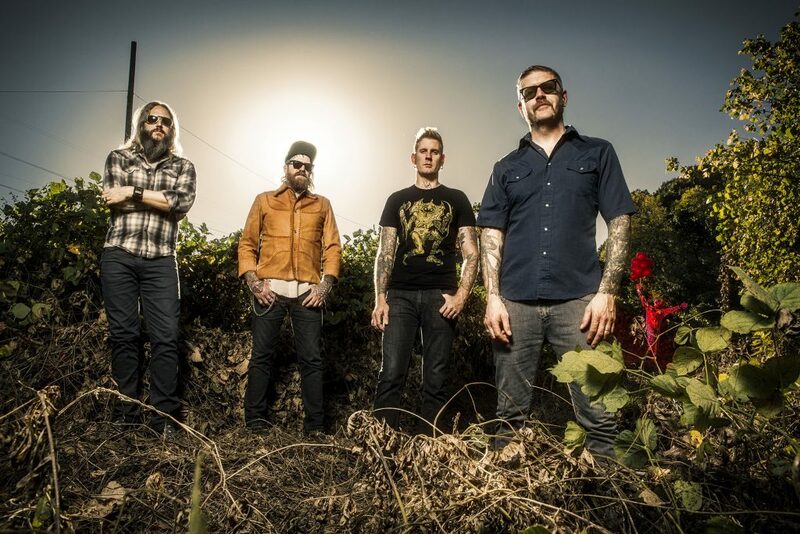 “This beats playing at 11am at Leeds Fest 13 years ago,” commented Sanders halfway through Mastodon’s hour-and-a-half set. It certainly does – and that the band have come this far is testament to their perseverance, hard work and relentless creativity. The four piece have gone from strength to strength – current album Emperor Of Sand is their ninth full-length, but they show no signs of slowing down or losing their edge. Mastodon ended their set with bruising rendition of Blood And Thunder, a fitting way of drawing the curtain on a fantastic night.